Couldn't find a thread for this well known company from Salisbury MD so thought i'd start one with an oddball unit i caught today on US 13 around Seaford DE. Didn't even realize what i'd caught until a few moments ago when i put todays pics up on the computer. 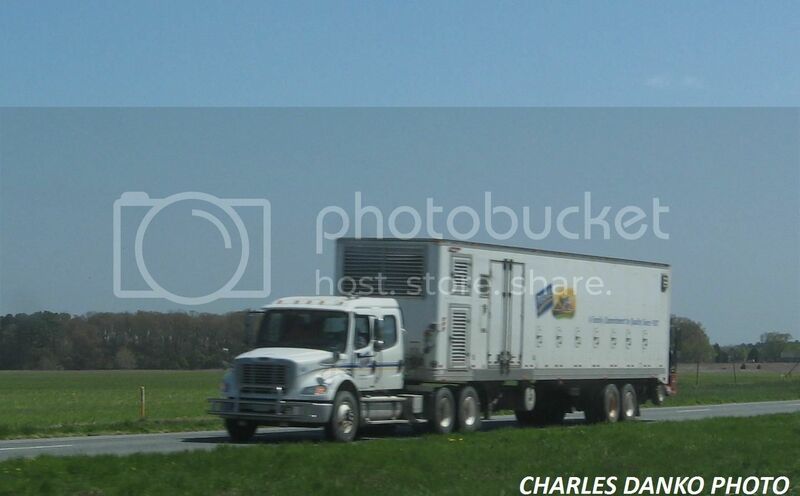 Not the greatest photo but worth posting IMO........looks to be a FL M2 with some type of incubator trailer maybe. Holy crap!!! An M2 112 crew cab tractor!! Very neat catch! When you get down around Perdue's home turf it's amazing the stuff you'll see in the area. A lot of feed grain tankers being pulled by day cabs (Macks, FLs & Volvos), even some grains boxes and a flatbed or 2. I would agree, some sort of incubator baby chick trailer. I took a picture of a HyLine (similar to Perdue up in Iowa) and they have a similar box truck, with the vents and whatnot. Looks like a Moffet on the back of that trailer too! Cool catch! I was browsing through one of the latest editions of Transport Topics and came across this beautiful photo that to me was a trucking/private fleet history Gold Mine! 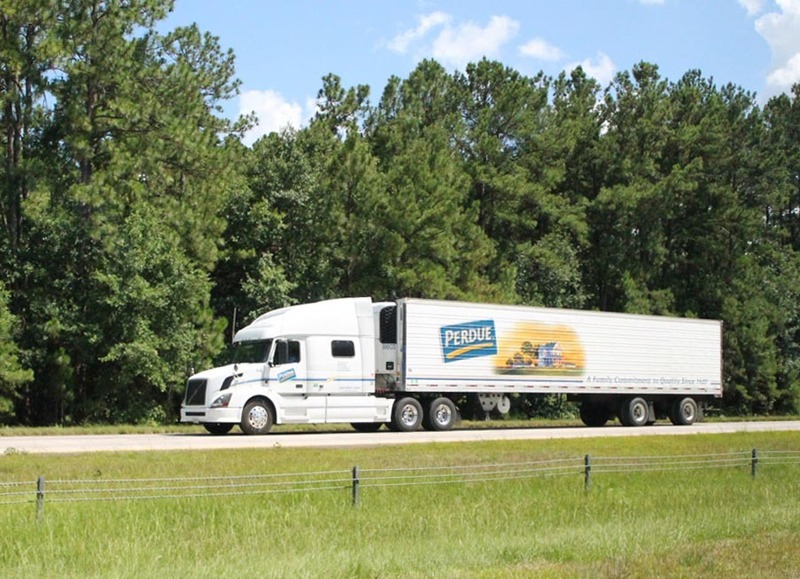 It was taken out of Transport Topics, but the source/credit came from Perdue Farms...must have been one of their stock photos. I just had to share it. This was more of a newer logo, but still...an awesome setup in my book. I recall the FLDs Mike..........think I have a pic of one taken with a film camera. If I come across it i'll post it. Perdue, like most fleets, must have run COEs back in the day which would be interesting to see. Charlie, here's one from Russ MacNeil's extensive collection on the main website. Thanks Jon........I think Mike Beesley has a Mack Cruiseliner in his collection. That's a great shot Ray, sharp Classic right there. How about the catches in this thread too, Perdue has always had some unique stuff over the years.